Posted on September 8, 2011, in MLB Teams: Articles and Analysis and tagged baseball, bautista, deshields, expansion, expos, jays, lawrie, mlb, wetteland. Bookmark the permalink. 28 Comments. Great read April! I think Montreal can support and be successful. They would need a Twins like ballpark , small intimate setting with a retro feel. Yes , the Expos were not world beaters , but with another chance i believe baseball could flourish there again. As for Vancouver , i think Forsyth nails it , it’s a fickle fan base , if you lose , they will not support you. As usual , well done! Rays would go to Orlando before Canada. 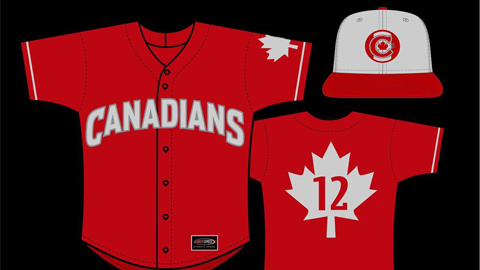 I was interested to see how people would take the concept of another MLB team in Canada. Personally I do not see it happening- but some feel they could come to Vancouver or Montreal. Mexico City also has been discussed believe it or not. Montreal with a good ownership, a good media coverage and a real new baseball stadium can support an mlb team again. I have no doubt on that. I think the MLB would be sucessful in Montreal,many fans are waiting for it. Would love a team in Vancouver. I wonder if they could play on a field (BC Place) with a centre hung jumbo tron. I am a huge Rays fan, and would welcome them any day, but as many have mentioned before, no one understands baseball in Vancouver. With BC Lions and Whitecaps in BC Place, I also don’t see how one could prepare the stadium quickly enough as all 3 have similar seasons. I’m a little late but I’ll respond anyway… MLB would not allow baseball in BC Place. This stadium does not come close to meeting today’s standards for MLB, and yes the scoreboard is too low. Toronto’s Skydome is the worst venue in MLB and would not be able to attract a team if one weren’t their already so a new stadium is of extreme importance for Vancouver and for Toronto. Really Vancouver is the centre of baseball in Canada. Vancouver has great developmental programs with a large enrollment, which produces the most and the best big league players by far. Vancouver understands baseball more than any city in Canada, so the roots for a strong fan base are there. A waterfront baseball park – north of Gastown where the whitecaps stadium was proposed – would be second to none when you consider the urban setting and the spectacular view. This is the new standard for baseball. If a triple A park were built with provisions to upgrade to MLB standards, the path to MLB in Vancouver becomes a realistic goal. Keep in mind that the smallest market – Milwaukee – has a metro population of 1.75 million people and supports MLB as well as the NBA. The Lower Mainland has a population of 2.7 million people. Nearly a million more people. Good fan base definitely. The A’s should move to Montreal. This would bring history, resolve the issue in the Bay Area, and put the team in the AL, enhancing the rivalry with the Blue Jays, getting the Yanks and Red Sox to town, etc. MLB’s failure in Montreal had *everything* to do with ownership mismanagement and MLB failures. The economic situation in Montreal in 2011 is night and day with the situation in the 80’s and 90’s. For Montreal to succeed it needs a dedicated ownership group. They will need to build a stadium, and almost certainly they will need a TV station to drive media revenue. That is the most important part of success in MLB. If you are interested in launching a major sports network in Quebec, having MLB would be the lynch pin. 162 games per year. MLB has a problem with the A’s. The ownership group has failed miserably and done a number on the fan base, with the support of MLB. MLB wants one team in the bay area, the SF Giants, so they can be a super team like the Yankees. The San Jose option is in many ways quite a poor move. Montreal with a new stadium and owners with a media deal in hand would be a vastly better market, nearly twice the size. As MLB is not willing to make it work in Oakland, and Oakland is not willing to do it for them, the A’s basically have no place to go. There is no other market in the US suitable for MLB. Montreal is by far the best available market, and Montreal and the A’s are a perfect fit in terms of philosophy and history. If Vancouver were to get a MLB team, it would have to be a National League one. Seattle being in the American League, would almost certainly kick up a fuss at having another AL team so close to them, and I could see their point. I would say, since the L.A. Dodgers owners declared bankrupcy last season, now would be a great time for Vancouver interests to make a move and bring the team north to play. Yeah, I know such a move would be a tough pill for L.A. fans to swollow, but, they still would have the Angels, and even the Padres to route for. Dodgers to VanCity??? No way! I’d love to see a team in Vancouver but I dont know what the fan support would be. If they were gonna do it they should move the rays. That way they could have a winner. Tons of people in Vancouver say they don’t even like the nucks when they’re losing. Montreal return is possible, but MLB coming to Vancouver? Now that makes no sense from a business stand-point especially when you already have the Vancouver Canucks hogging up the entire market. Thus making any possibility for a move to be a very ridiculous one. I couldn’t agree with you more. We definitely like to have different viewpoints on the Reports. From my basis, I see a 0% chance of MLB expanding into Canada. Ever. Without a baseball specific stadium in Montreal, they have no chance of getting a team back. The Lower Mainland is the centre of baseball in Canada so it is more likely a team would come to Vancouver. Build a Triple A park that is upgrade-able to MLB standards and the path to MLB is much easier. Baseball for the most part is played outside of hockey season and would fill the gap left by the Canucks in the Summer months. Milwaukee supports NBA and MLB in a much smaller market because there is not much overlap between the 2 leagues. Part of the issue is support in Canada for baseball. Once the Expos left, it meant that Toronto would likely remain the only Canadian MLB team. Vancouver already lost its NBA franchise. There were a variety of factors for this shift, but it certainly did not increase the confidence of other sports to expand into Vancouver. Right or wrong, many Americans are not interested in shifting MLB teams to Canada. Montreal/Vancouver are not seen as cities that will draw good ratings and attendances at games. Perception is often reality- and the perception in this case is that another Canadian city cannot sustain a MLB franchise. Thank you for your comment! BTW Jay the Expos use to play in Olympic Stadium (which is not demolished yet), the main reason for the departure of the Expos was the Expos inability to make the playoffs since 1981. 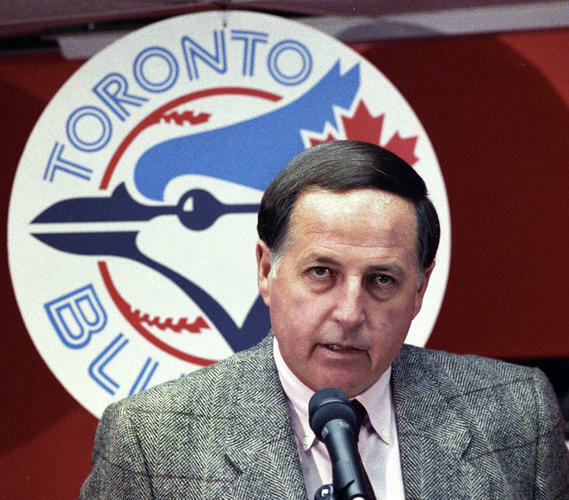 Not only that, but fans in Montreal were EXTREMELY angered by the league’s decision to cancel part of the 1994 season in which the Expos were doing terrific led to many Expo fans believing that MLB didn’t care about Montreal. Addition to that ownership wanted to move the team out of Montreal. IMO those are the reasons for failure in Montreal. The only way for Montreal to gain a MLB franchise is a solid ownership group, I do not believe that will come anytime soon, unless the Canadiens start playing terribly while the Blue Jays are playing terrifically. The odds of a team coming back to Montreal should go through the roofs since several teams in MLB are starting to show signs of financial strains. To be honest, MLB seems to have reached it’s maximum capacity. More than likely they would be retracting as MLS is starting to expand and taking over the summer time sport or be forced to implement a hard cap, which would allow opportunities for expansion. As for Vancouver, a team will not come anytime soon maybe even decades as there is already interest from the Canucks ownership group to pick up an NBA team. MLB needs two more teams to balance its alignemnt. There are fewer MLB players per million males in the MLB age bracket today than 50-60 years ago. The talent is there. I would love to see Montreal get another chance. 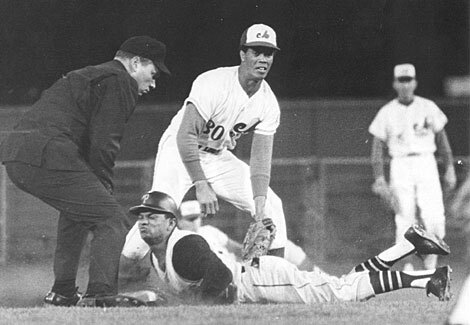 Kansas City, Seattle, and Milwaukee are examples of cities that were not very good baseball cities the first time around, but have been quite successful the second. Washington is enjoying success with the Nationals. History says that the second time around, baseball is likely to be much more successful. you could use the Big Owe for about 3 years or so. Move the tennis center and build a retro park on the Parc Jarry site. The Marlins’ new ballpark in an ethnic neighborhood only seats 37,000. I hate to say this, but you need to do some of the things that worked for Washington while they waited for the right ownership group. Have some exhibition games. Start a Montreal Baseball Historical Society. Have an annual ExposFest to keep the torch lit. If potential owners see fan interest, they’re more likely to put an ownership group together. I, for one, would like to see a return of the Expos to Montreal. Back in the old days,Expos games were followed religiously over French radio and the play-by-play commentaries were positively exciting. Listen to a game of “le Canadien de Montreal” on the French channel RDS and you can get a sense of that excitement. No English-speaking network seems capable of make sports sound so good!. And I’m an English mother tongue person! “Nos z’amour” would likely have won the National League pennant in 1994 had not a NBL lock-out/strike put a premature end to the season. A new stadium dedicated to baseball could be built. Just where is the question. An ideal location might be the old Turcott Yards. But Montreal is sprawling outward more and more in all directions. The city’s thoroughfares, however, are a disgrace. They are in ruins and getting worse. Grid-lock can be encountered at just about any time of day. Before a stadium can be built, there must be convenient access to the planned site. Its not the fan base that needs to be built up but rather Montreal’s infra-stuctures…and that is not likely to happen soon. I am a die hard Red Sox and Bruin fan; but nothing used to please me more than to take the 5.5 hours drive up to Montreal to take in a hockey game, or in the summer a long baseball weekend especially for interleague play… Yankees or Red Sox. Montreal is a beautiful city rich in gastronomical delights and cultural amenities. The fans are passionate and frankly were screwed by MLB due to stadium and financial issues. I agree they need a new stadium in the downtown area.. but put a good product on the field and the fans will come… look at Tampa no one cares …put that young team in Montreal with the natural rivalries in Boston, Toronto and NYC and it will be like the 80’s early 90’s again drawing 2 mil.+ fans a year. (but not to that monstrosity Big OH OWE) Do it Montreal you deserve a team! What about the hamilton Ontario area? I can see Cleveland moving to El Paso and is Tampa probly moving next year then and where would it be?They have good fans their location is just terrible. Montreal is the only city I can see getting a MLB level team and that’s only if Tampa Bay has no other choice but to move there. The will be MLB expansion. I am absolutely certain minor league ball will be coming to many, many cities in Canada. I believe Ottawa has a team or will be getting a team next season. Also, Winnipeg has a team in the American Association. I’ve had some second thoughts on this topic. Expanding into Canada does fit w/ the current MLB commisioners dreams of expanding globally. But Canada would be a hard sell for some of the current teams who need visiting teams to boost their attendance. Mr. Hacohen is right. Ratings in the U.S. against Canadian teams will obviously be down. The ONLY way to avoid a drop in ratings is to play to Canada’s strengths. Create an all Canadian division! This would promote the game within Canada the most of any option. Canadian teams playing on Canadian T.V. With the weighted schedule, the Canadian teams would play more than half their games against rival Canadian teams. This would create a big rivalry among Canadian fans, and a guarantee that one Canadian team would be in the playoffs every year…..which would absolutely boost Canadian interest in the sport. The Bluejays would finally be set free from the extremely tough American League East and be allowed to soar as perennial favorites in a National League Canada division. Cities that could join the Jays…….Montreal, Vancouver, Edmonton, and Ottawa. I really like this comment you made about which canadian cities and I hope it happens. I’d love to see these cities in MLB myself. Awesome idea!!! Thanks kat. Just hope MLB is thinking as big as I am. absolutely not..! there are plenty of states in the us that don’t have teams….